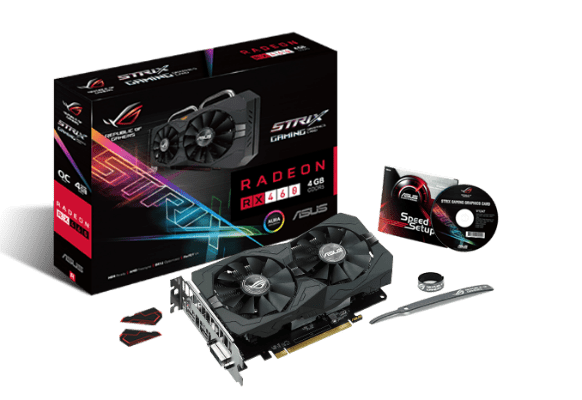 ASUS Republic of Gamers (ROG) announces Strix RX 460 GPU. The new gaming graphics card comes with ultra-fast performance, advanced cooling, and personalized styling. Powered by the latest AMD Radeon RX 460 graphics processing unit (GPU), clocked at 1256MHz in OC mode, ROG Strix RX 460 delivers up to 8.2%-faster performance than reference cards in 3DMark Fire Strike Extreme and 38.6%-faster gaming performance in Hitman.